No doubt about it: summer is here. I celebrated my birthday by going and having all my long, thick hair chopped off, because as soon as the heat and humidity hit this week I couldn’t stand it anymore. It’s now the shortest it’s been since I was in grade school. A couple new native wildflowers have appeared in the last week or so. 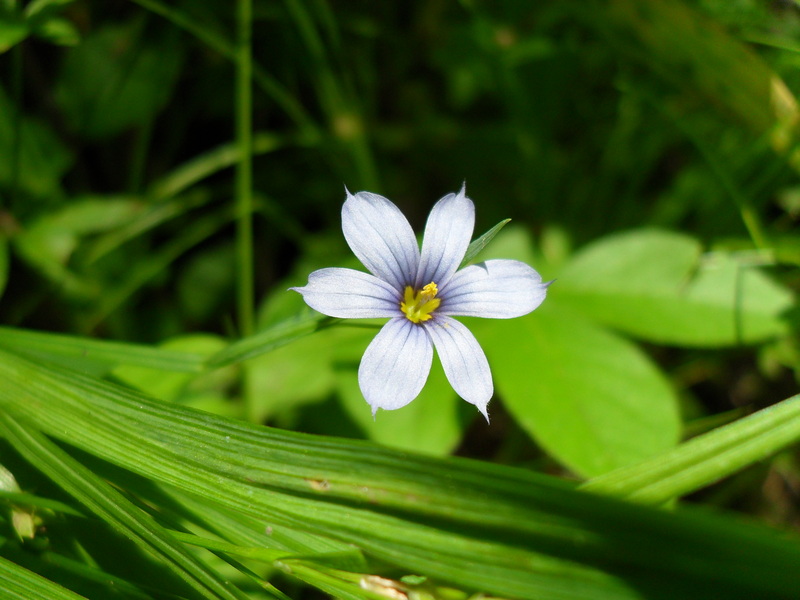 One is the tiny, beguiling blue-eyed grass, Sysyrinchium angustifolium. The botany-minded will immediately observe, of course, that there’s no way this plant is actually a grass; grasses don’t have flowers like that. This is actually a member of the iris family, but it’s easy to see how it gets its name. 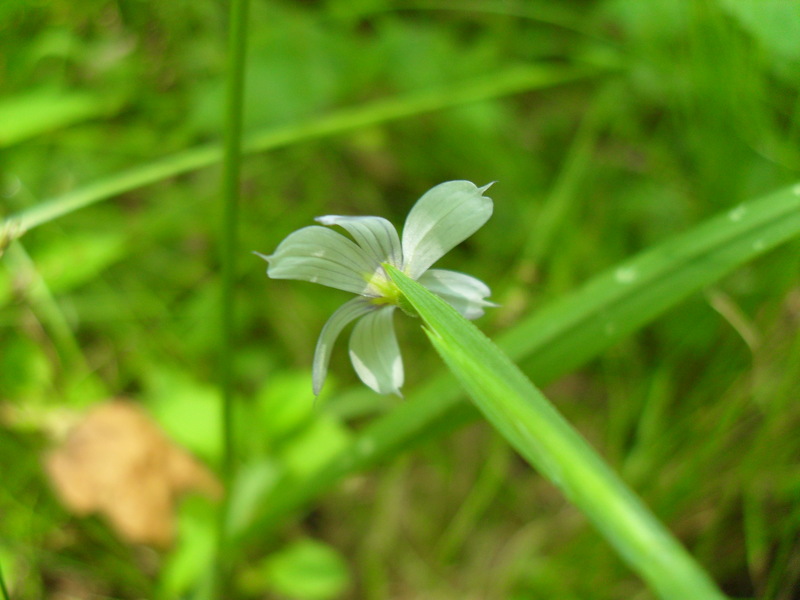 The little blue flowers grow directly from the tips of what do look remarkably like grass blades. 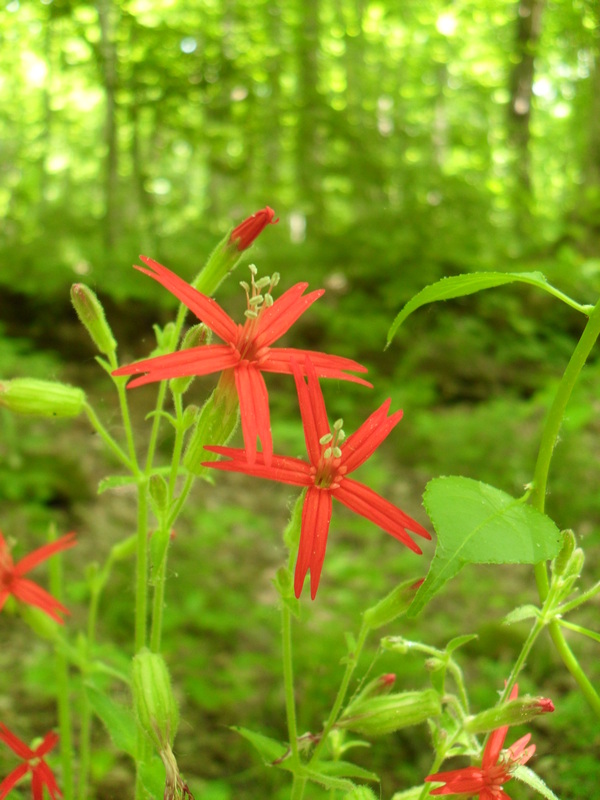 In violent contrast to the delicate blue-eyed grass is the vibrant, showy, eye-catching fire pink, Silene virginica. These tall plants seem to be screaming “look at me!” to every passer-by. Most of our native wildflowers are either yellow or somewhere along a spectrum of white-blue-violet. Columbine is pinkish-orange, but even it doesn’t come anywhere close to the scarlet brilliance of the fire pink. If you know your pollination syndromes, one look at this color and you’ll immediately assume (correctly) that it must be pollinated by hummingbirds. Thanks for visiting my Blue Jay Barrens blog. You’re right, your Fire Pinks are the same brilliant red as mine.